This cake was baked for the son of my friend, Tally, to celebrate his 14th birthday. 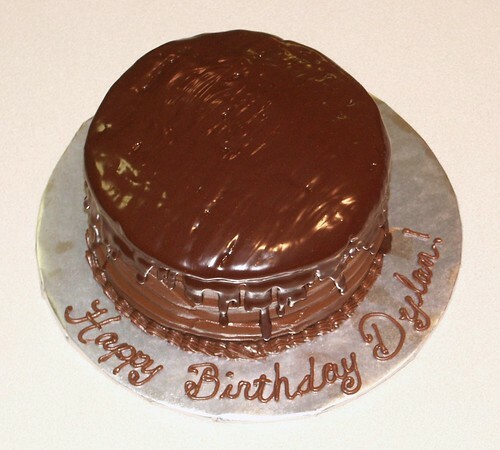 It's a six-layer, devil's food cake with bavarian cream filling. 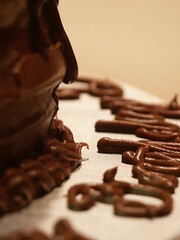 I covered it with Ghirardelli chocolate frosting then poured chocolate ganache on top. 2009 Black Pot Cook-off - First Place Pork!